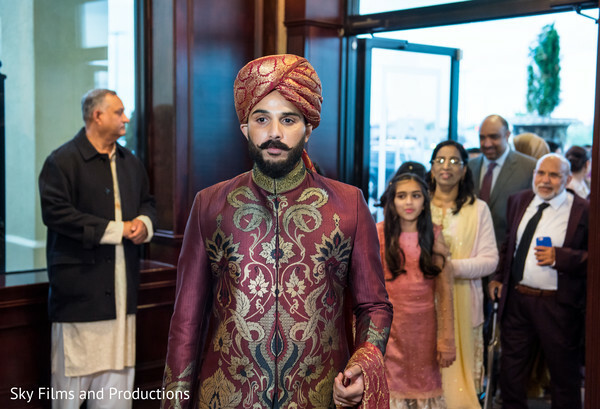 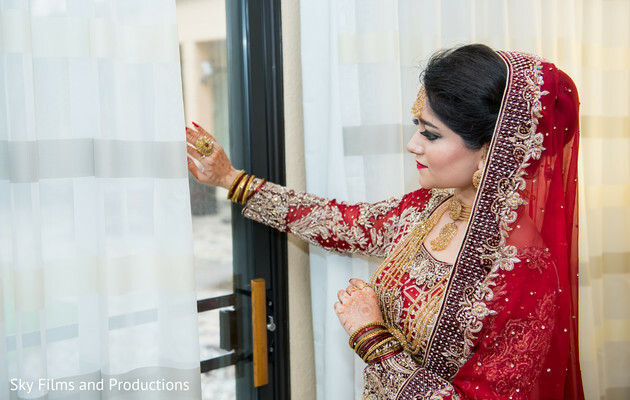 Let’s go inside the Pakistani wedding celebration of Ramsha and Malik! 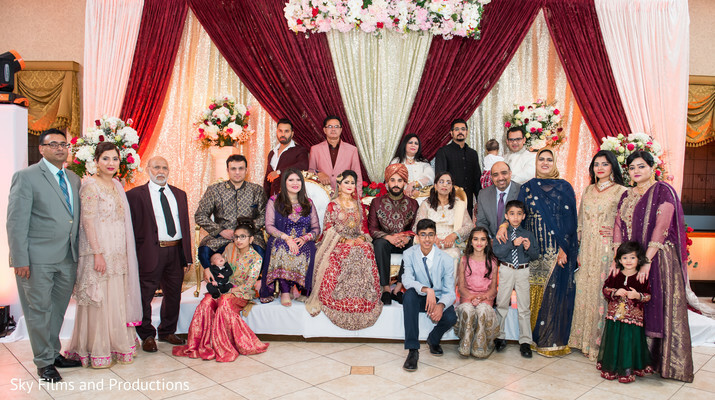 Their grand affair’s brilliant day was held at the elegant Crystal Gardens. 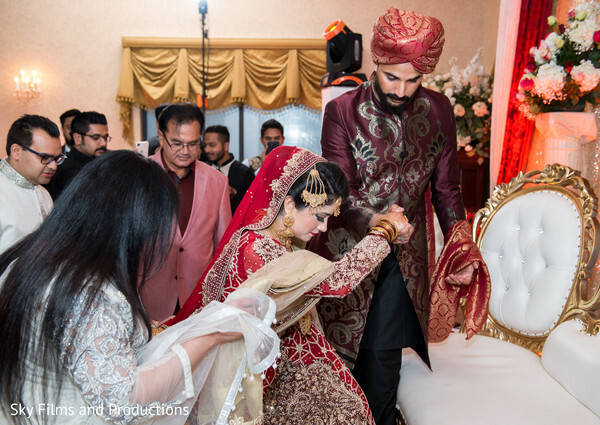 The striking setting prepared for the traditional ceremony by Lama's Florist added a ton of allure and glitz to the ambiance that blended with the couple’s dazzling outfits! 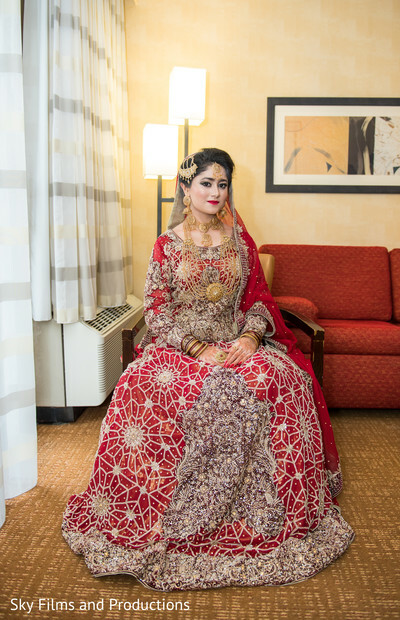 Ramsha prepared a quintessential Pakistani bridal look that displayed one-of-a-kind silver embroidered patterns with a glamorous porcelain like makeup that enhanced her natural beauty whilst Raja Malik’s red/maroon color ensemble was absolutely royal! 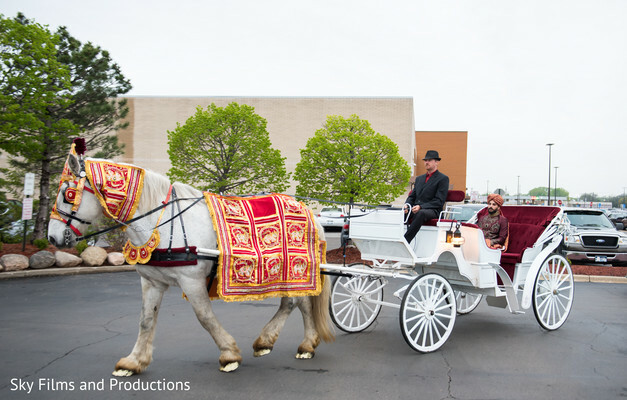 All the happenings were beautifully captured by Sky Films and Productions, who also captured the groom’s big white carriage entry. 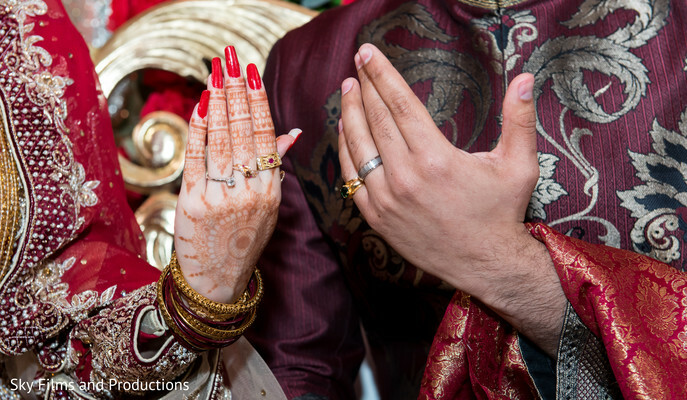 The major ceremony was a huge success, the perfect combination of tradition and whimsical elegance! 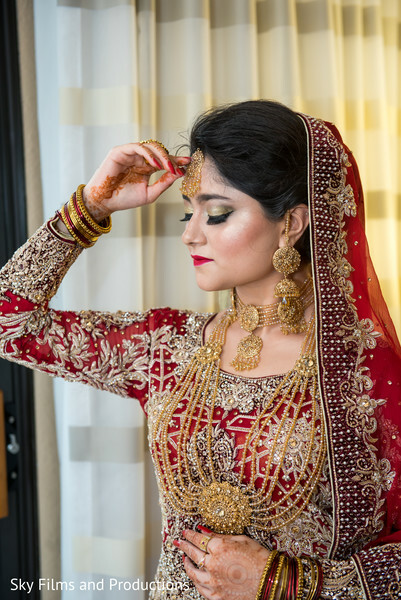 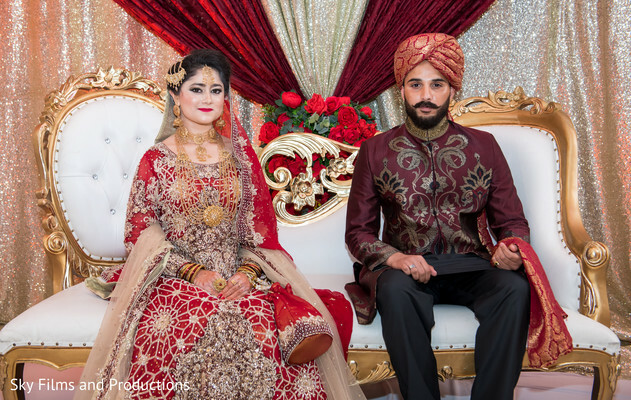 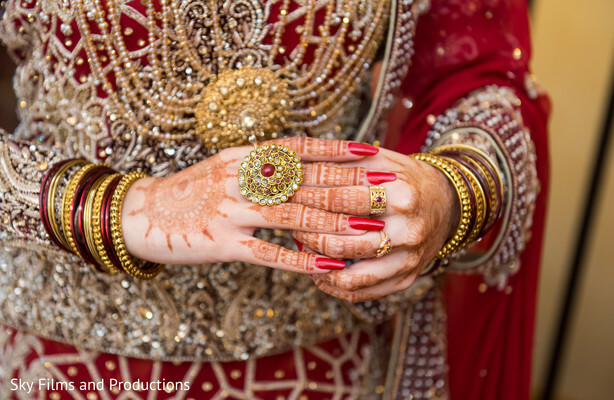 Click on our full gallery for more of this lovely Pakistani wedding story! 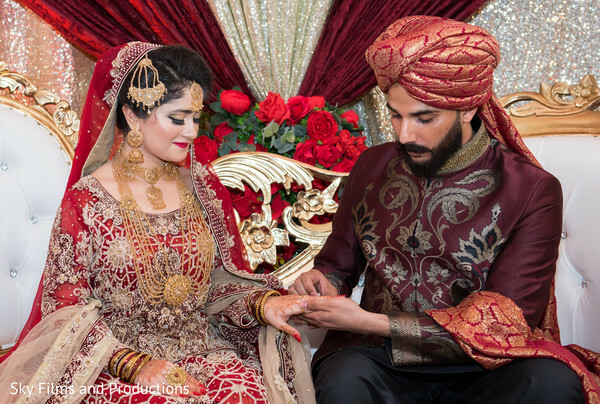 Visit our following post and enjoy all the happiness of Ramsha and Malik's post-ceremony soiree, coming up next!